When selected as the RNC chair to replace outgoing Reince Priebus, I still felt there were better choices. Michiganian Scott Hagerstrom, for example. Hagerstrom was solid as an organizational head of Michigan AFP, and his departure from that organization is obvious to any who pay attention. He then led the Trump campaign in Michigan that along with Romney, turned our state red. If asked, I would have recommended him far and away as the choice however. Swing and a miss. Ronna McDaniel has been better than any national chair of the RNC. No other RNC chair has used social media so successfully, put themselves in front of (even the fake news) cameras daily in support of our president and his/our agenda. The woman is a bulldog and knows when to attack the other side without reservation. Actively promoting Republican ideals (not necessarily establishment capitulation either) she is constantly visible and keeping a positive face on the Republican Party. She has earned my respect. I hope she can continue to perform as well, and keep the weak sisters in the party from abandoning our constantly assaulted (and effective) president. ← Satire – Call To Action: Stop child predators! Pass Common Sense Cell Phone reform today! So Well said. I have to say the article state what many have come to realize. Doing the right thing always works. Hats off to Ronna. Let me just say that her term is still young and the jury is still out. True, she hasn't acted like a back-stabbing weasel (yet) like the rest of the republican kakistocracy. But, even most observers can acknowledge that we still have that continuing problem of "draining the swamp". On top of that nagging issue, where's "The Wall"? Where were her comments on the (yet another) CR that still funds PP and "Sanctuary Cities"? I get that her position is basically the PR face of the republican party and that she needs to avoid taking sides as much as possible in her position, but I challenge anyone to defend how you honestly plan to grow your party (also part of her job description), when you don't challenge your own party's members who are acting against not only their own stated philosophy, but on promises made to the American People during the last election cycle? And what's even better--With Rona McDaniel--Michigan has three reps on the RNC and with Rona our State Committee persons are sitting on prime RNC committees. We need to look to Rona to help us get rid of Ryan and McConnell. I avoided mentioning her "name drop", because it really wasn't germane to this post. But I will give her the benefit of the doubt to make a name for herself. 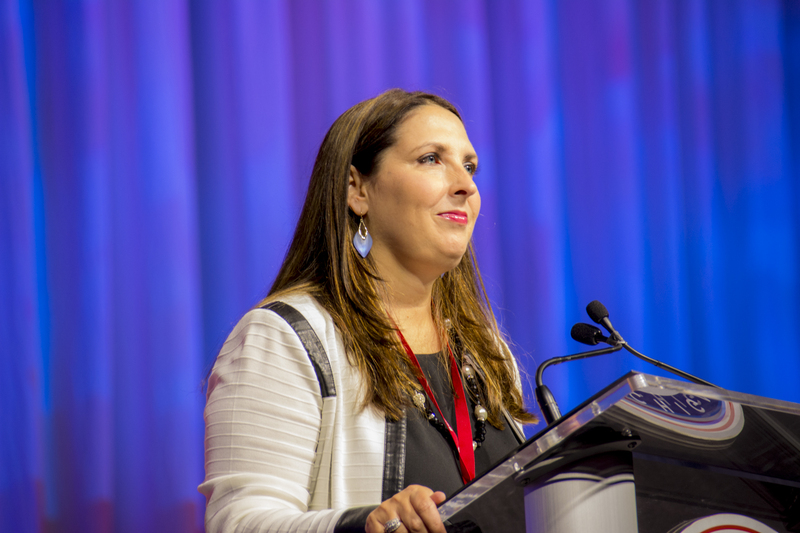 According to a survey, conducted by iCaucus Michigan in early January, Ronna wrapped her tenure at the MIGOP helm with a 78%+ approval rating. The survey was conducted among the convention delegate network, 65%+ of whom self-identified as platform loyalists. I can tell you that this survey’s accurate, because I’m the one who conducted it. I have to admit, Ronna has been a breath of fresh air within GOP leadership. Helluva burden to overcome when carrying around her backstabbing uncle Mitt's last name. That's the price of leveraging notoriety. Matter of fact, Ronna's only bobble being on the fake news Billy Bush tape, however, her bobble is peanuts in comparison to Kasich endorser Calley calling for Trump to end his campaign. Ultimately, Calley has proven himself to be as useless as leaker Priebus, within this new GOP.